While there may be "too much television" on the air, there has been a lack of truly great TV this fall. None of the 22 new broadcast shows have broken through in terms of quality the way Jane the Virgin, Black-ish and Fresh Off the Boat did last season. But that creative drought ends Monday with the Season 2 premiere of Fargo (10 p.m. on FX), the fall's best show. Noah Hawley, who adapted the iconic 1996 Coen Brothers film in last year's finest miniseries, has returned with an equally magnificent second season. 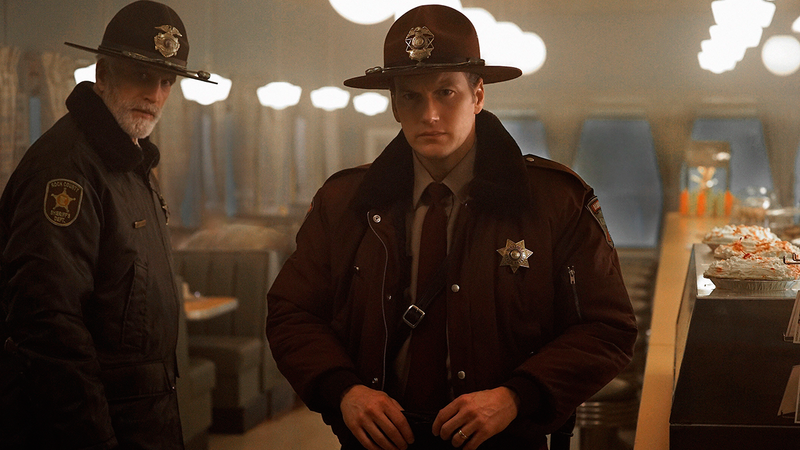 The action takes place in 1979 and moves to Luverne, Minn., and Sioux Falls, S.D., where Lou Solverson (Patrick Wilson, playing a younger version of Keith Carradine's character from Season 1) is investigating a brutal shooting at a diner involving a family crime gang, the mob and other locals. While True Detective—which also came off a triumphant first season—imploded this summer, Fargo's second season is as confidant, surprising and rewarding as ever. Hawley sat down to talk about nurturing the Fargo brand, the True Detective Season 2 backlash, product integration and what comes next. Adweek: In the past year, networks have been trying to turn dozens of movies into series, with mixed results. How did you approach this brand and film that people had a strong affinity for and successfully adapt it for TV? Noah Hawley: Obviously, when you take something as beloved and iconic as Fargo, the risks are enormous. You risk offending so many people. But there are a few things that went right from the beginning. FX said to me, "We're thinking about doing this as a TV show. We're wondering, can you do it without Marge [Gunderson, played by Frances McDormand]?" She's such an iconic character, and who else would you use from the movie? So, if you don't have any characters from the movie and you're not telling the story of the movie, what are you doing? That was really fascinating to me. I said, Why is the movie called Fargo at all? It takes place in Minnesota—only the first scene in the movie takes place in Fargo. Except the word "Fargo" is so evocative of that place, the frozen tundra. And so the word itself has a resonance to it, which now from the movie has come to mean this sort of true-crime story that isn't true, where truth is stranger than fiction. So if we look at it that way, then Fargo becomes a concept within which we can tell these stories. And the other part of what the brand was to me is, because it calls itself a true story, it has to be believable as true. And part of what made it believable as true was that at the end [of the movie], Marge gets into bed with her husband, she saw the worst thing she's ever going to see, he got the 3-cent stamp, and tomorrow's going to be a normal day. So, that has to be part of the brand as well. Understanding those constraints, then you go, OK, what's the story? For me, I had this image of these two men in an emergency room. One was a very civilized man, and who was the other guy? And that's where [Season 1] came from. This year, there was a similar thought: What kicks us off is that something goes very, very wrong, and the result is that people who are on the fence morally have to be pushed to do an ever-escalating series of things that digs a deeper and deeper hole. It's the idea that Kirsten [Dunst]'s character would run someone down with her car and then hide it, which is a transgression which ultimately has to catch up with her.